The Nebraska Department of Revenue would determine in advance of distribution whether certain mechanical amusement devices are games of skill or chance under a bill advanced to select file April 15. 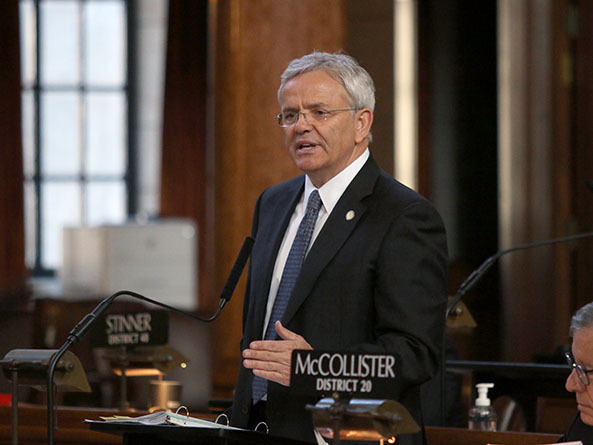 LB538, introduced by Omaha Sen. Steve Lathrop, would add electronic video games of skill to the definition of a mechanical amusement device and require the department to determine if such devices are games of skill or chance. • a player’s success is impacted by skills no reasonable player could exercise. The bill would require distributors of such electronic video games to pay a $500 application fee, submit a sample game to the Nebraska Department of Revenue, provide evidence that the device is a game of skill and provide an affidavit to the tax commissioner that no functional changes would be made to the device’s hardware or software without the commissioner’s approval after the license is granted. Possession of an illegal device would be a Class II misdemeanor under the bill. LB538 also would require game owners to pay an annual $250 licensure fee per device. The bill would not apply to pickle cards, lotteries or bingo games. Lathrop said he introduced the bill to provide a front-end process to determine if a device is a game of skill or chance. He added that there are an increasing number of electronic video games in Nebraska that claim to be games of skill but are not. Sen. Justin Wayne of Omaha spoke against the bill. He said LB538 could make a person guilty of a crime at the time they submit a device for approval. Wayne asked if gun owners would be comfortable sending a firearm to the government for inspection and possible confiscation. Albion Sen. Tom Briese supported the bill, saying that it would add clarity when determining which games are legal. “It will help make this more of an objective process,” Briese said. 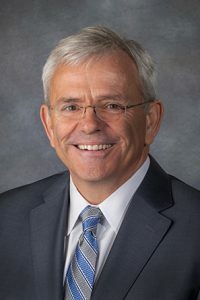 Sen. Steve Erdman of Bayard said he was concerned about the bill’s ability to keep up with a distributor’s potential ability to alter a game’s computer programming. Sen. Joni Albrecht of Thurston said she would like to see the bill exclude credit cards as a method of payment for such games. Lathrop later said he would consider such an amendment prior to select file debate. After approving amendments offered by Lathrop and the General Affairs Committee that made a series of clarifying and technical changes to the bill, lawmakers advanced LB538 on a 34-0 vote.